For those who are not particularly interested in Wimbledon and England against South Africa’s cricket Test Match, what better than to quietly sit out in the shade and immerse yourself in Thimblestitch’s latest newsletter and gently make progress with your latest project, or plan your next one……. Summer time also marks the arrival of some new fabrics – batiks, of course, and Lewis and Irene has one of my favourites – “Down by the River” full of otters, swans and other riverbank wildlife. This seems about right for Honiton, I thought. I have also chosen some lovely fabrics from Moda – Ninja Cookies, True Blue and Spellbound, ranging from abstract geometric shapes to the pretty and dainty flowers of the 70s. If you haven’t seen any of these, it is worth coming in just for a look. Also just in is the Moda’s “Cake Recipe Mix”. These are foundation papers to use with 10” layer cakes. Such a brilliant idea, definitely worth checking out. Many of you have been asking for different interfacings, so I have increased the range. Vilene’s (or “Vileselines” as they now like to be called!) H640 medium weight fusible interfacing, has a bit more oomph than the lighter one but is just as lovely, “Fuse And Tear”. Also their woven iron on interfacing similar to stayflex. “Heat and Bond lite” as an alternative to Bondaweb. I also have 14 count Aida in White, Antique White and Ivory to compliment the DMC Stranded Threads. Following our success at the Axe Vale Show last year, Thimblestitch had a stall at this year’s show on June 17th and 18th. Gosh, it was hot!! Juliet and I met lots of lovely people who braved the heat of the marquee, many of whom have since found their way into the shop. I am pleased to be able to tell you that we have raised £177.50 for the cancer charity, FORCE. 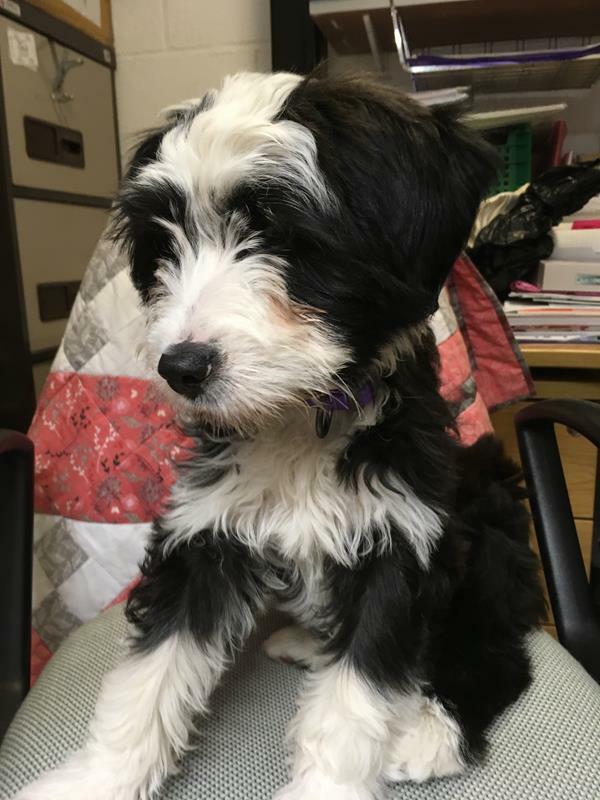 Meet Gibson, (not Ziggy) the newest member of the Thimblestitch family. He is a delight and gives everyone a warm welcome. He is now 4 months old and starting to explore the outside world. From the beginning, it was clear that he is a shop dog! Gibson and Bertie are the best of friends … most of the time, that is! I have been thinking of having a monthly ‘drop-in’ either for the day or just a half day on Wednesdays, where, for a small fee, you can come to sit and sew. This would have all the advantages of exchanging ideas and tips with each other. Please note that this would be an informal day without a tutor. If this is of interest, please let me know. A Date for your Diary. From Saturday 5th – Saturday 12th August we will be hosting an exhibition featuring the work of the Woodmanton Textile Group in the Thimblestitch workroom. Please spread the word by sharing this newsletter. I am including in this newsletter my terms and conditions for workshop bookings. I am sorry this has to be done, but I am increasingly having last minute cancellations and even no shows. This is very irritating on two counts, I have made a commitment to pay the tutor but mostly for those, on the waiting list. This will take effect from all new bookings. When booking, please provide a £10 non-transferable and non-refundable deposit to secure your place on the workshop. Payment of the balance needs to be with us six weeks prior to the date of the workshop. If we have not received payment by this date, you will, unfortunately, lose your place as we will offer it to the next person on the waiting list. If you are unable to attend a workshop, please let us know as soon as you can. This would mean we could offer your place to the next person on the list in good time. If you cancel your place earlier than 14 days before the beginning of the course, a refund will be made – less the non-returnable deposit. If you cancel your place within the last 14 days leading up to the course, a full refund (less the non-returnable deposit) can only be made if a replacement can be found. A full refund can only be made if the workshop is cancelled by Thimblestitch. All booking and refund arrangements are entirely at the discretion of Thimblestitch. 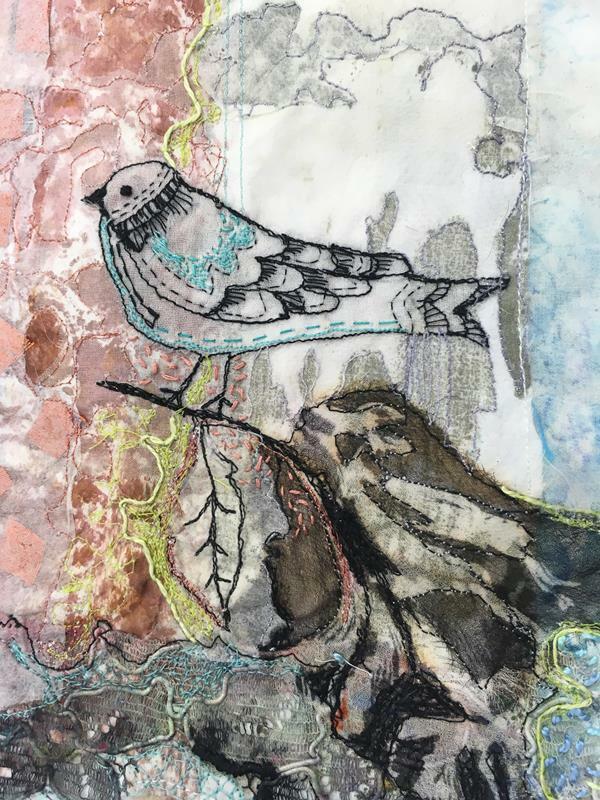 We have had some brillant workshops and tutors since the last newsletter here is a selection…..
Lino cutting to sketchbooks, dying ripping stitching with Cas, Linda, Annette, Gary and Louise. 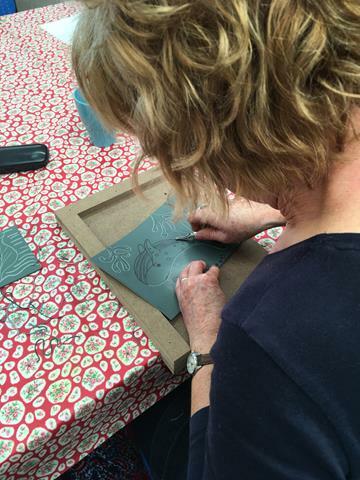 Lino Cutting with Louise Nichols – Sat 22nd July. There are still a couple of places left. Come and have a go. Learn how to design, cut into flexible linoleum and print your own, original block. Christmas Cottages with Louise Nichols – Sat 19th August. Due to popular demand Louise is back with another day for Christmas Cottages. 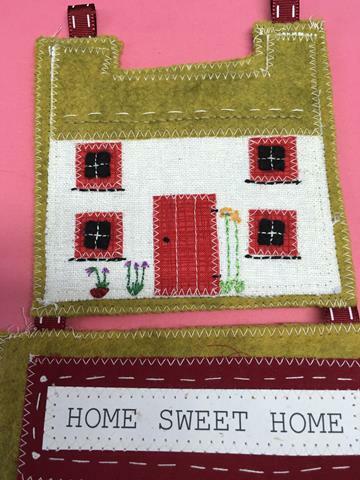 With her usual enthusiasm and inspiration, Louise has designed cute cottages to stitch. If you want a nice relaxing day with a bit of hand stitching, a bit of chat and no stressful moments then come to one of Louise’s classes. 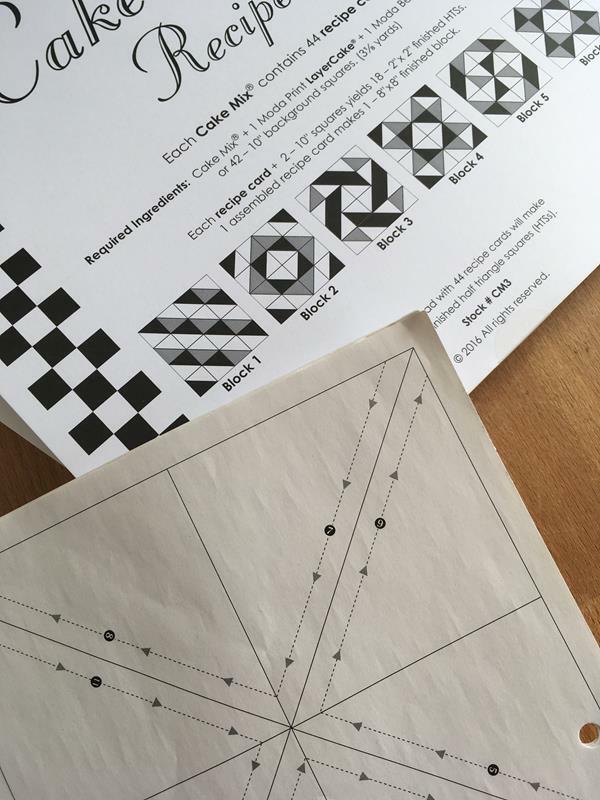 Take a Simple Shape with Gillian Travis – Fri 1st & Sat 2nd Sept. There are now 2 spaces left, due to cancellations. Check out Gillian’s website to see her lovely work. 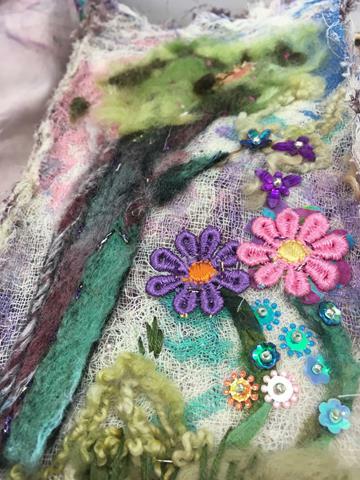 Linen & Lace & Colour Blending with Sheena Norquay – Tue 5th & Wed 6th Sept. From your stash of lace, choose a motif to enlarge to create a focal point for your design. Techniques include hand or machine piecing, hand applique using running stitch, needle turn applique, hand embroidered trapunto including colour blending using stranded cotton, couching and hand quilting. A great two days, designing and using a wide array of techniques.1 Space Left. Burning Issues with Margaret Beal – Sat 23rd Sept – 1 space has become available. 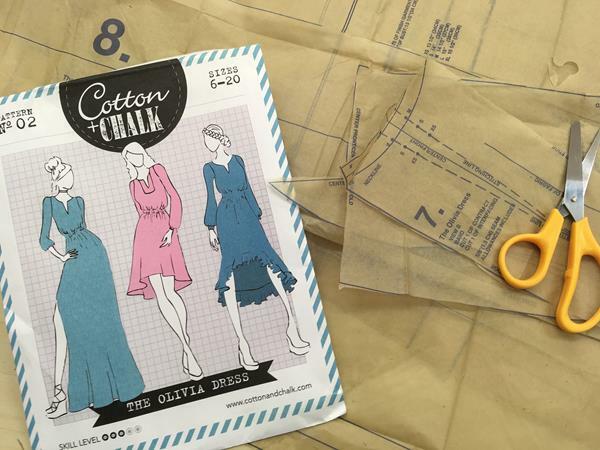 Dressmaking Wednesday evenings with Katie Haywood. Thursday afternoons and evening with Karen Fanzo. Starting 6th & 7th September. 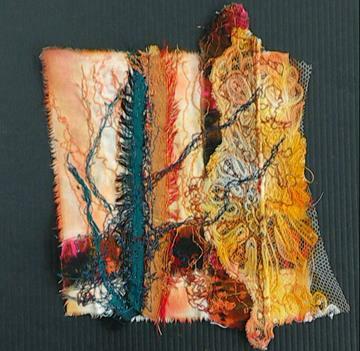 Quilting inside the Box with Linda Campbell – Friday 8th September. A bite sized fun way to learn free motion quilting. 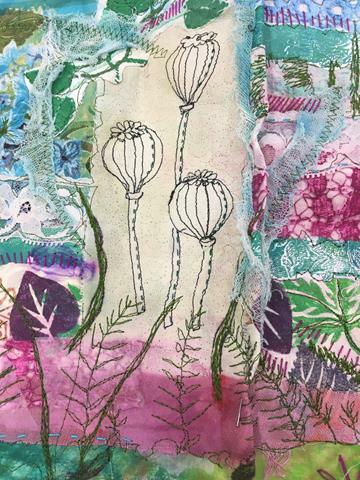 Art Journal Fun with Heather Norwood – Saturday 9th Sept. Create your own stencils and printing blocks, decorate your book with paint and collage. Use for your stitching samples, and whatever takes your fancy. No drawing required! Let your imagination flow! Chris has many years experience in both teaching and making patchwork quilts. Starting with how to use a rotary cutter to stitching the first pieces together, then creating your first blocks and putting the quilt together. This is a once a fortnight class giving you ample time to complete any block before moving onto the next stage. I have added a couple of Sew What extra days Friday 21st July & 25th August. Ring to book.